Did you hear about The Wedding of the Year?! 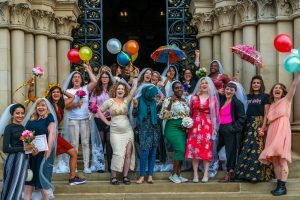 On Saturday 21st July 2018, a group of wonderful women united from different parts of West Yorkshire, at Bradford Town Hall to marry themselves. 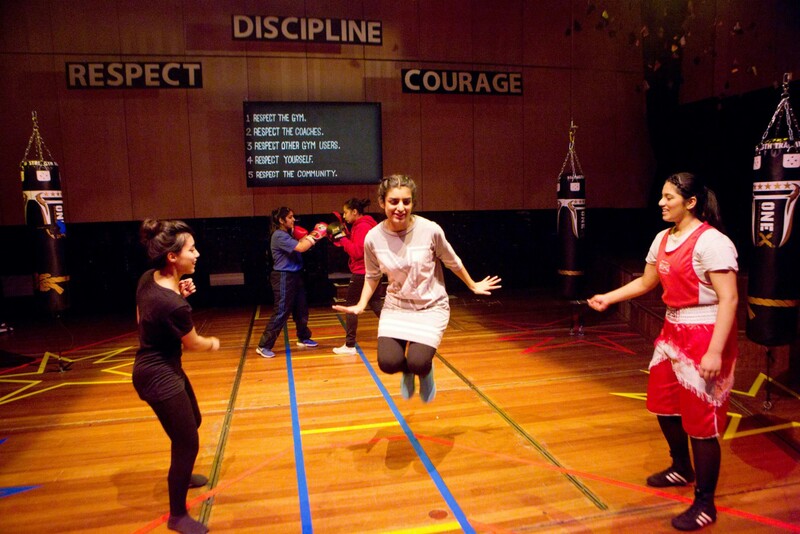 The event was part of our wider theatre project Radical Acts, where we’re asking the question ‘what radical acts do women need to take to create change today?’. The wedding idea progressed from initial brainstorms of the question, where Latifa (who is in her 70’s) said that she wanted to promote the message that younger women don’t have to be married to a man to be happy- that they can stand on their own feet. 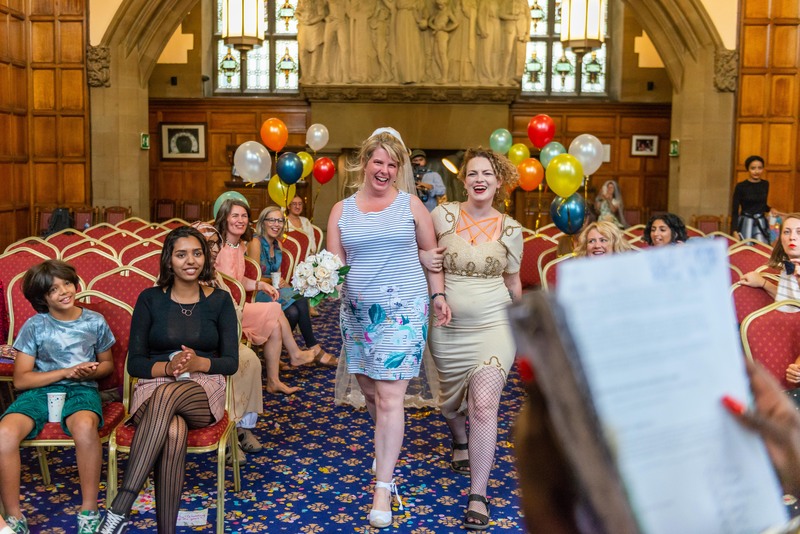 We ended up having lots of chats and decided the best way to get this message out would be to have a big wedding ceremony where women marry themselves! 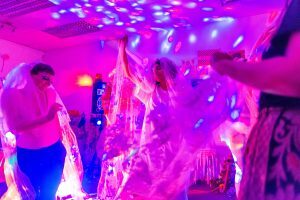 So- we embarked on our adventure to book the ultimate Wedding of the Year where women could come and take part in a self-love extravaganza. The preparations consisted of booking out the lavish Bradford Town Hall banqueting suite to accommodate our event and arranging stylists, bouquets and an amazing reception party where all the women who participated could take their first dance. In the end, women were styled by our lovely hair/make-up assistants and then walked themselves down the aisle. Some read personalised vows to themselves in a ceremony before friends and family who watched on as proud guests, with the whole day captured by our on-site photographers. What originally began as a playful concept developed into a very emotional day for lots of women. It was an absolute pleasure to be joined by such a diverse crowd of 38 women in total, hailing from different parts of Bradford (and Leeds) with completely different reasons for marrying themselves. We’ve been reflecting a lot on the success of the day- in our Radical Snacks meetings, held in Speaker’s Corner, we’ve had wonderful praise from our team, volunteers and brides relayed back. 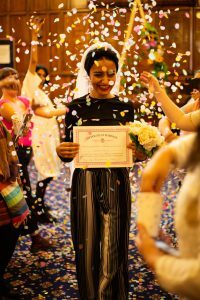 It seems that all-round, the Wedding of the Year really was a wonderful celebration of womanhood and self-love. We’re so proud of what we’ve created, right in the heart of Bradford. We just want to express how grateful we are to all those who came down to participate, as brides and as supportive guests, on one of the most special days the city has seen this year. If you are reading this now, thank you so much for joining us! 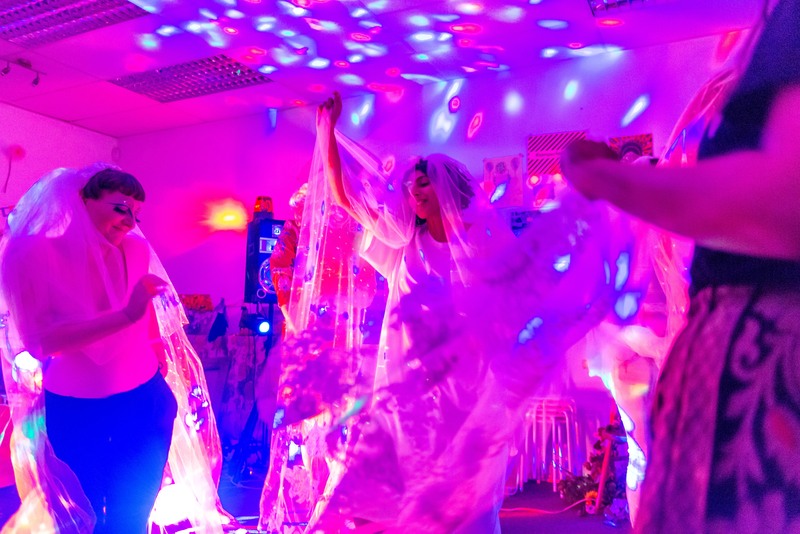 Stay tuned for more events including our Peaceophobia convoy in Bradford City Park on Sunday 2nd September and our new play, Radical Acts coming to The Bradford Club in late September 2018.